If you had a statue of yourself, would you visit? Entertainment Weekly reports Henry Winkler recently visited the “Bronze Fonz” statue in Milwaukee. Winkler originated the iconic character on Happy Days, which ran from 1974 to 1084. What do you think? Are you a fan of Happy Days? Have you been to the “Bronze Fonz” in Milwaukee? Happy Days: Let’s Visit the Cunningham House! 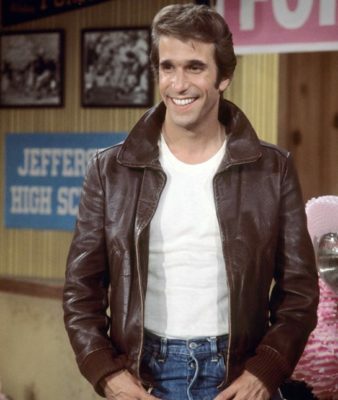 Happy Days: The Bronze Fonz Gets a Thumbs Up! Laverne & Shirley: Roommates Once Again?